2018 saw the arrival of Money Heist , a drama series that became an immediate international hit. The success was such that a third season is now in the pipeline and the creators and members of the cast came to the Monte Carlo Television Festival to assess its popularity and receive the Golden Nymph for the “Best TV drama series’. Where did the idea for Money Heist come from? I’ve always been attracted by the idea of a perfect bank heist, but everything had already been stolen! Diamonds, gold, money … so we had to think up something new. We thought long and hard about it and worked upstream to where the money is made, the royal mint, and that’s where when we had the idea for the series. (Money Heist creators Alex Pina and Martinez Lobato). Were you expecting such a level of success? When we read the script, we thought it could be a high quality drama series, but the reaction has been quite amazing. That people have tattoos of your face on them is kind of crazy, but it’s true ! (laughter). ( Alvaro Morte alias The Professor). We often ask ourselves this question. 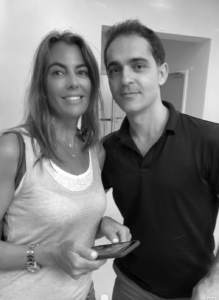 We all have our ideas, but personally I believe the key to the success is the characters themselves, the excitement and thrills and also the love and friendship ( Ursula Corbero alias Tokyo ). Some people criticise the implausibility of parts of the series, for example getting into a bank unwounded when dozens of policemen are shooting at you. For sure, as script writers we’re not perfect … (laughter). Seriously though, a little poetic license is something that comes with this type of programme. At times we wanted to add something a little comic to break from the realistic. (Money Heist creators Alex Pina and Martinez Lobato). Comment l’idée est-elle née de donner à ces personnages des noms de villes ? On a envisagé plusieurs possibilités, notamment des noms de planètes. Un jour, quelqu’un est arrivé avec un tee-shirt sur lequel était écrit Tokyo ! C’est comme cela que ça a commencé.” Et maintenant, on vous laisse imaginer les héros de La Casa de Papel avec les noms d’Uranus, Mercure ou Jupiter ! ( Les créateurs Alex Pina et Martinez Lobato ). 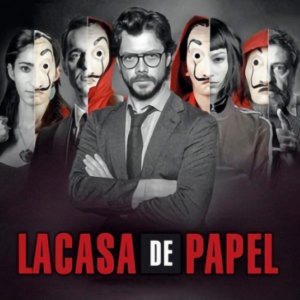 Avec le succès de La Casa de Papel, Bella Ciao est devenue un véritable tube. Pourquoi cette chanson fait-elle partie de la bande-originale de la série ? Why did you decide to name your characters after cities? We had a number of ideas, with the names of the planets amongst others. Then, one day, someone turned up with a T-shirt bearing the word Tokyo and that’s how it all began. Try and imagine it if we had kept to the names of the planets and the Money Heist heroes were called Uranus, Mercury and Jupiter! (Money Heist creators Alex Pina and Martinez Lobato). With all the success surrounding Money Heist, Bella Ciao has become a huge hit. Why did you choose it for the soundtrack? The anti-fascist anthem was written in 1944 and used by the Italian partisans in their struggle against the Nazi regime. 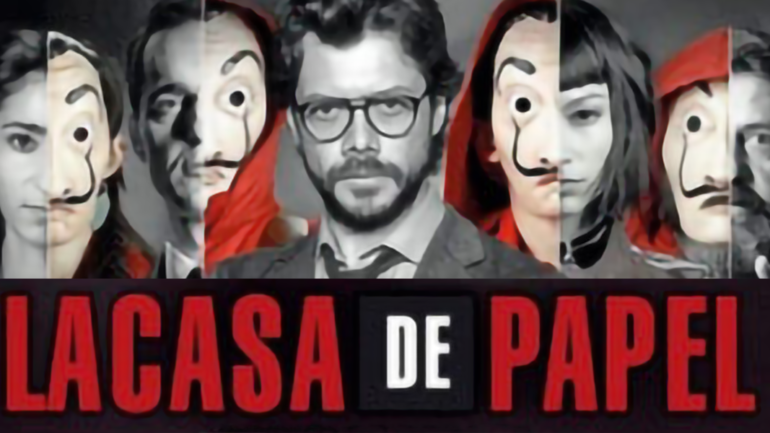 It was perfect for Money Heist: in their own way, our heroes are partisans. They are fighting against the system, making Bella Ciao the perfect song for the series. (Money Heist creators Alex Pina and Martinez Lobato). What can you tell us about the forthcoming season 3? The pressure’s on and we don’t want to disappoint the public so we are being very cautious. We are writing it right now and filming is due to begin this autumn. There will be some flash-backs and references to various events that occurred during season 2 and others that took place earlier on. We also have some new elements and some new and very different characters. (Money Heist creators Alex Pina and Martinez Lobato).